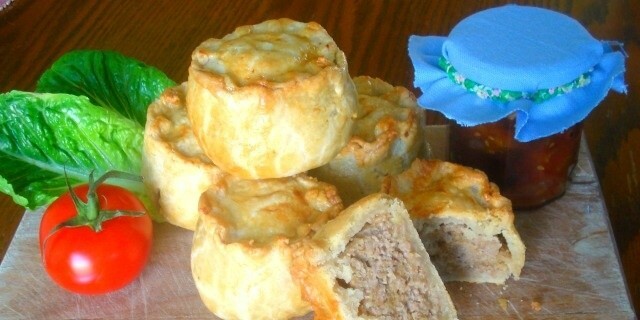 A well-made pork pie is a British classic loved by many, so we designed this class to teach students all the skills needed to make delicious, additive-free pies, using hot water pastry and fine quality pork. 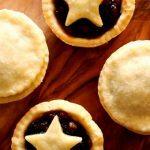 The class will also include making a simple vegetable pickle that is the perfect with freshly baked pies or any picnic goodies – a great chance to practice those knife-skills! Often seen as tricky, the tutor will demystify the pastry making and hand raising processes, ensuring students leave with all the knowledge and skills to make their own delicious pies at home, as well as their batch of four pies to share with friends and family. All course bookings are subject to our Terms and Conditions, including our cancellation policy. Please ensure that you are able to attend the date you book, as transfers and refunds will not be offered, but you are most welcome to send someone in your place. This policy is to enable us to run our courses viably and therefore maintain our high quality standards – to explain, if a student cancels and transfers to a new date and we can’t resell their cancelled place then it means we lose out on making that place available e.g. that’s one student taking two spaces but only paying for one – it just doesn’t add up! On the rare occasion that we must cancel / reschedule a course students will be offered an alternative date or a full refund without question. Please click here to access a downloadable PDF of this document. Due to the nature of our courses and the ingredients we regularly use allergens are present in our baking studio – visit our Downloads page to view or print our advice about main allergens course by course. What a gem of a find. Sarah is charming, knowledgeable and kind (and her mum is lovely too). Class was well structured and instructions were clear. The teaching kitchen is well equipped and provides a great atmosphere. I highly recommend this beautiful setting for classes and I undoubtedly will be back soon. My daughter and I attended Delightful Tea Bake School in April for Hello Cupcake Class. The kitchen is bright clean with all the latest equipment needed. We were made to feel very welcome & at ease. Sarah has created a lovely atmosphere at the school, & we would definitely recommend classes at her school. There are a good amount of varied classes available to choose from - Laura & Jade. Very happy cupcake makers!